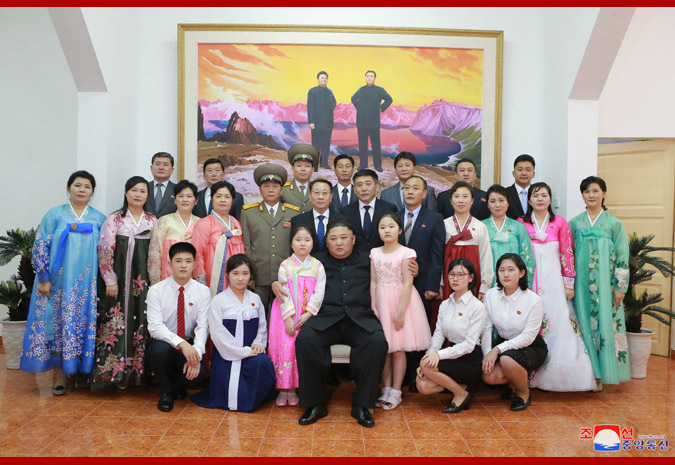 Pyongyang, February 27 (KCNA) -- Kim Jong Un, chairman of the Workers' Party of Korea (WPK) and chairman of the State Affairs Commission of the Democratic People's Republic of Korea, visited the DPRK embassy in Hanoi on Tuesday afternoon. Among the visitors were Kim Yong Chol, Ri Su Yong, Kim Phyong Hae, O Su Yong, Ri Yong Ho, Kim Yo Jong, Kim Song Nam, Jo Yong Won and other officials who accompany Supreme Leader Kim Jong Un visiting Vietnam. Kim Jong Un learnt about the work and situation of the embassy while talking with its members. Saying that the embassy should further consolidate the deep-rooted friendly and cooperative relations between the two parties and countries which were personally provided and developed by President Kim Il Sung and President Ho Chi Minh as required by the times by doing good work with Vietnam, he gave valuable instructions arising in thoroughly implementing the WPK's foreign policy. He also learnt in detail about the life of members of the embassy and their families.